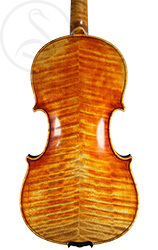 This is a very nice example of a “Großstadtgeige”, literally “big city violin” of the sort produced in Berlin towards the end of the 19th century. The workmanship is excellent and the sound is first class. 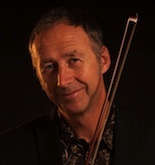 German violins get a bit of a bad press, largely because of the vast number of cottage-industry instruments which flooded the market in the late 19th century. But all the while, luthiers were producing fine violins for discerning musicians, and it’s quite unfair to tar everything with the same brush. Here we have a very finely made Strad copy which works on all levels – it’s very attractive, it’s comfortable to play and it sounds great. It has some nicely restrained antiqueing, fine wood throughout, and graceful proportions. The condition is excellent with no cracks or damages, and the original varnish is beautifully preserved. This is a happy violin – I love it. 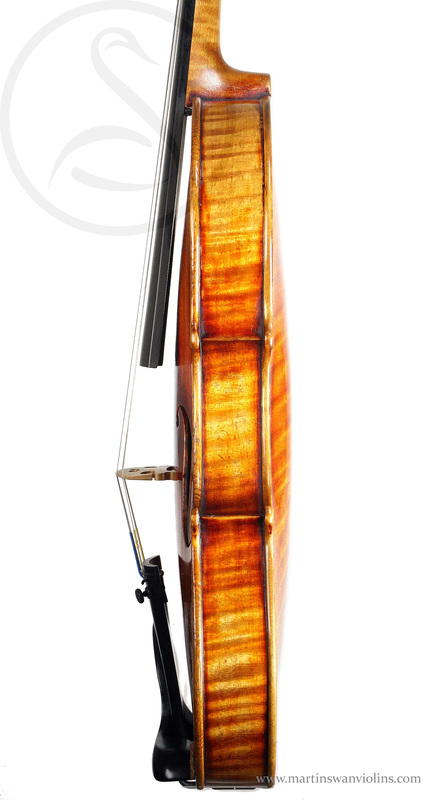 It has a bright and reedy sound, it’s very responsive, and it always sounds sophisticated. There’s a lovely shimmer to the tone, yet it speaks clearly – very smooth and even, and feeling quite effortless. It retains these qualities throughout the range – it sounds great on the G, and it keeps sounding great all the way up the E into the dusty reaches. “Mozartian” … is that a word? 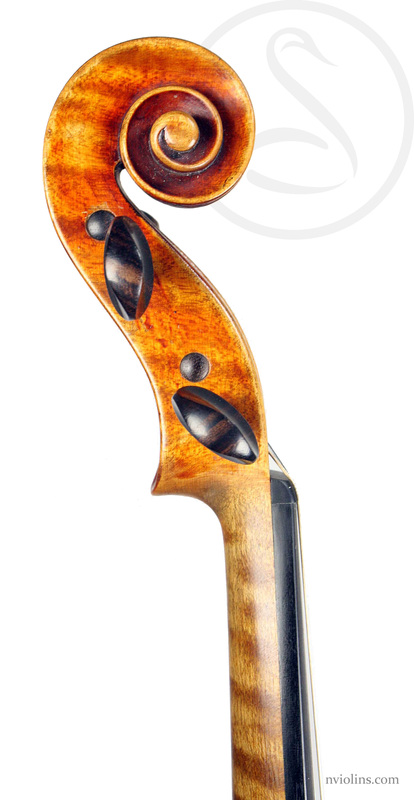 If so, it’s an ideal word to describe this violin – playful, youthful, graceful and expressive. 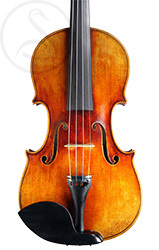 Are you interested in this fine German violin?